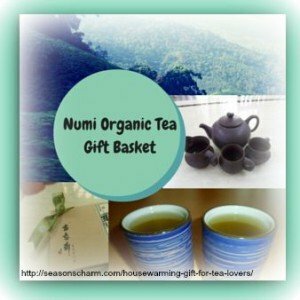 An organic housewarming gift for tea lovers – Numi organic tea collection is a great way to let the new house owner enjoy a cup of famous classic tea blend from around the world. With this Numi organic assorted tea bags collection, you get to enjoy 16 different classic Numi organic teas, tea blends and teasans. You get to taste 1 bag each from each blend thus totaling 16 organic tea bags which contain 100% real, organic, non-GMO verified tea ingredients. Herbal teasan: Chamomile lemon, Rooibos, Moroccan mint, Rooibos chai, Honey bush. These iconic tea blends from around the world will surely bring great pleasure to the tea connoisseur new home owner. This lovely collection of Numi organic tea blends come with a nice variety of green, white, black and herbal teas. You get to taste different type of delicious teas instead of just one type. 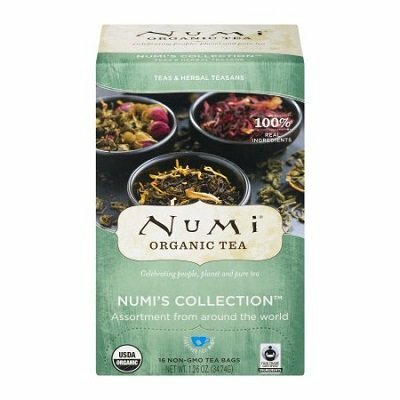 If you are into fair trade organic teas, then this Numi world tea collection is truly what you’ll love – healthy tea blends with no harmful pesticides. Numi combines premium full-leaf quality teas and herbs with only 100% real fruits, flowers and spices. It is truly a wonderful housewarming gift for tea lovers – Numi organic tea collection.